The Artful Maven: No Duh Sherlock! I always hated when someone retorted that phrase when I was a child, but ever since I was a little girl I loved smarty pants Sherlock Holmes. I watched movies about him sleuthing, read books and comic books, and was glad to see him make a popular comeback with all the new block buster movies about him. I especially love the way the new movies depict the scenes and times of London from way back then...it's very SteamPunk-ish and grungy to me! Gotta love that! So I was thrilled to see Sherlock on an image from last month's new release stamps from Artistic Outpost. 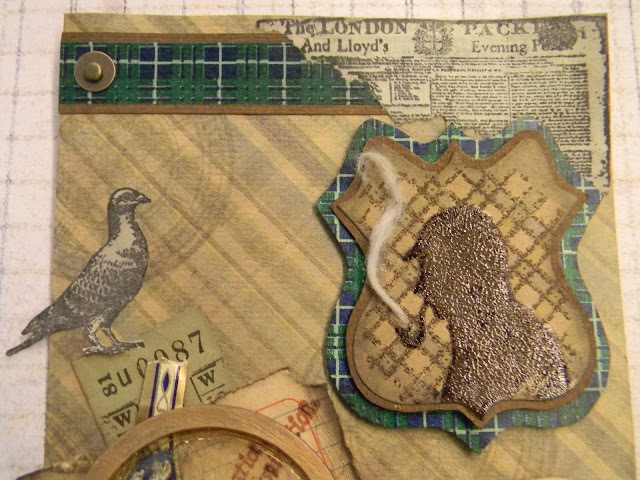 The London Elements stamp set has an image of Mr. Holmes, with his pipe of course, atop a plaid printed background, that I used here on this birthday card for my hubby, who is a smarty pants as well! I used Pumice Stone Distress Ink to stamp background images from the London Elements set on the plaid paper. 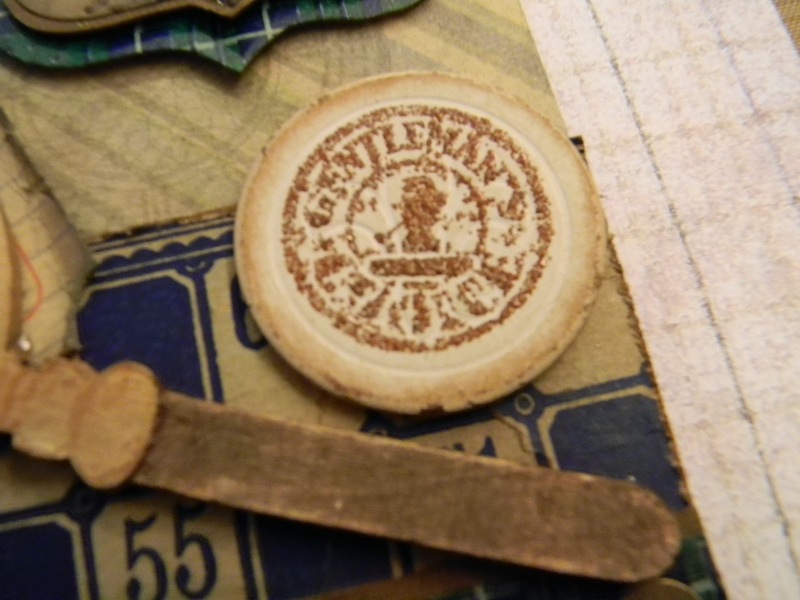 I used an embossing pen on the image so the powder would stick then heat embossed. The plaid stripes where added with watercolor pencils, then the outlines heat embossed. The smoke is from a cotton ball. I was not too happy about the bubbles in this from the glossy accents, but I did like the texture. 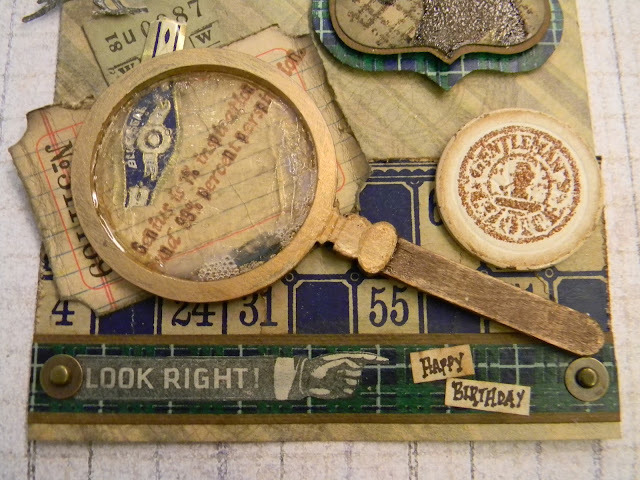 The outer portion in Wendy Vecchi's pocket watch Art Part, and the handle is a popsicle stick. 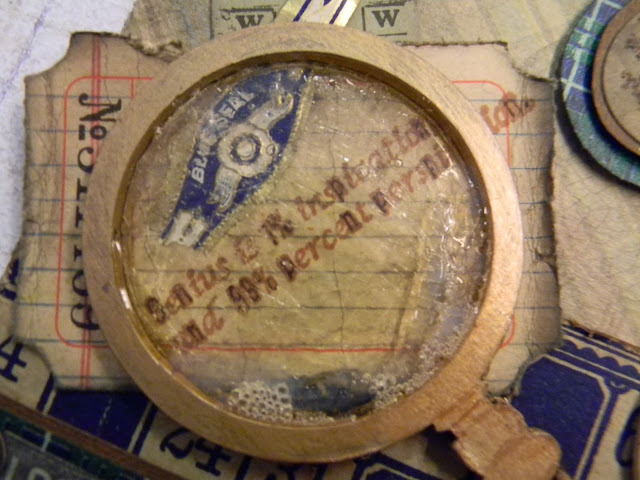 This was an old poker chip that I heat embossed the AO image on. 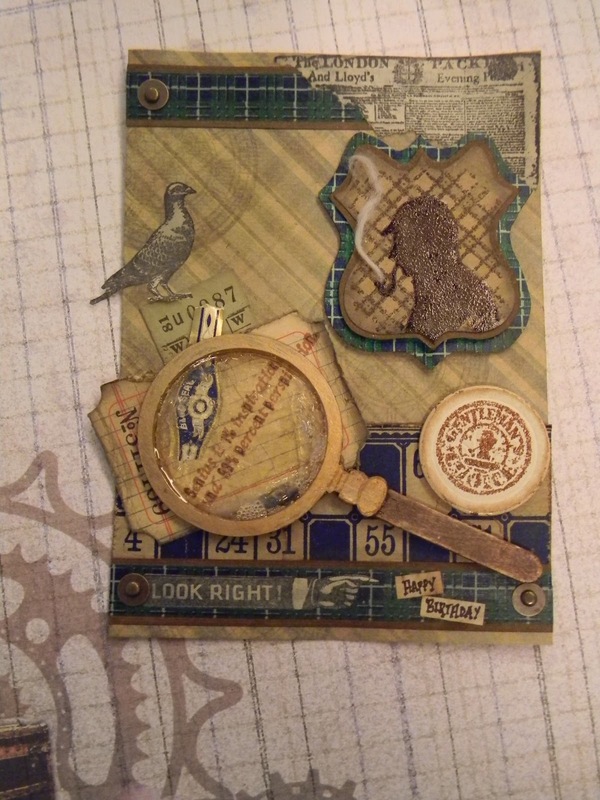 I am submitting this card to the Simon Says Stamp & Show challenge of "anything goes", and The Stamp Man's challenge of "vintage". This is great! 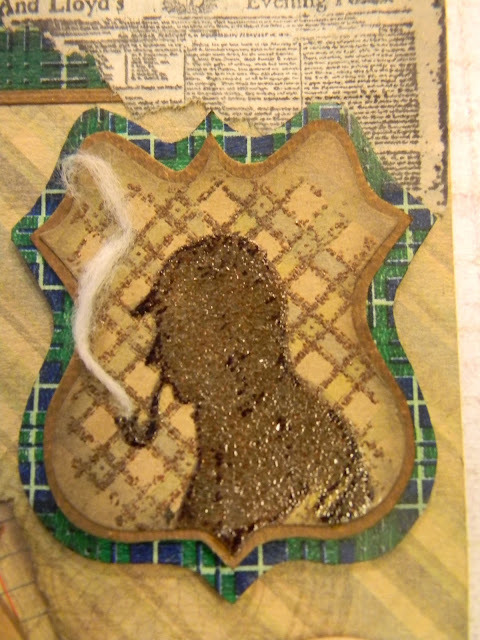 I hope you have seen the new Sherlock on bbcamerica! Fabulous creation! You have some great touches here that are really clever. This card is so stunning Anita.There are so many things to look on it. No duh...this is FAB-U-LOUS! So many cool elements to look at. Even the bubbles! WoW, this is too cool, Anita! 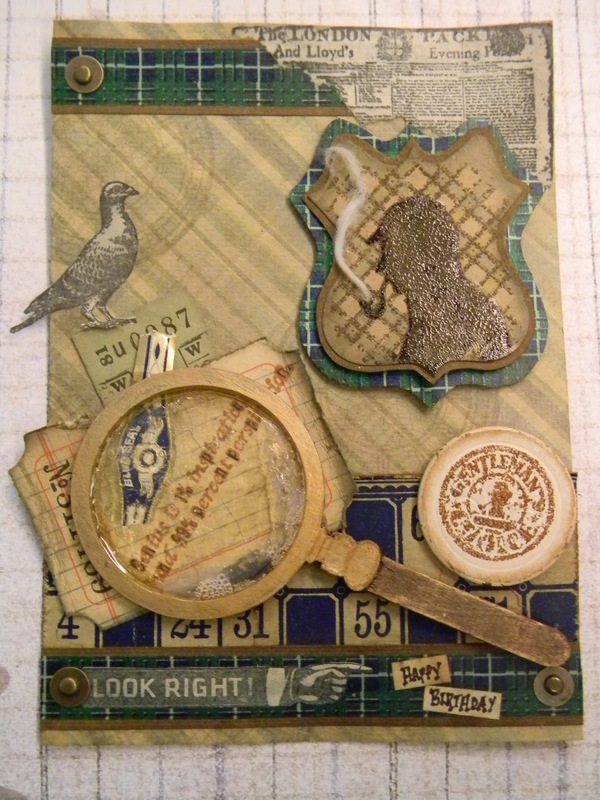 LOVE the images you used and the cotton ball "smoke" is genius! Have a great weekend, Sweetie! !